Transparency in Architecture will attempt to shine light and encourage awareness to the practice of architecture through the context and story of an Upstate New Yorker, Philosopher, Fabricator, Inventor and Licensed German Architect, living and working in Berlin, Germany. The lecture will be held at the University of Oregon Architecture department in Eugene, Oregon on April 22nd, 2019 from 5:30 – 7pm. A light dinner and drinks will be served following the lecture. Justin Allen was born in 1979 in Upstate New York. He holds a Bachelors degree in Philosophy and a Masters degree in Architecture. In 2006 he worked for Steven Holl architects in New York City and in 2009 he moved to Berlin and worked with von Gerkan, Marg und Partner. In 2014 Justin Allen established ALLENKAUFMANN STUDIO with Saskia Kaufmann in Berlin, which is a practice recognised for spatial and material sensitivity with a rigorous effort to embrace art and fabrication in the context of architecture and design. Coming from a background in the Tool and Die and trades industry, Justin Allen continues to work with his hands. In 2015 he received an official patent for his invention of a unique joinery system with the German Patent Institution. In 2016 he was the AIA Hampton Roads Chapter 24th Anniversary Honorary speaker in Norfolk, Virginia. Since 2017 Justin Allen and Saskia Kaufmann have been involved in establishing a second design studio called ALLENKAUFMANN OBJECTS, which is committed to bringing “all-wood-only-wood” products to the furniture market in the form of the Dado Shelf and Dado X table. Currently Justin Allen is the Visiting Stott Professor at the University of Oregon in Eugene. 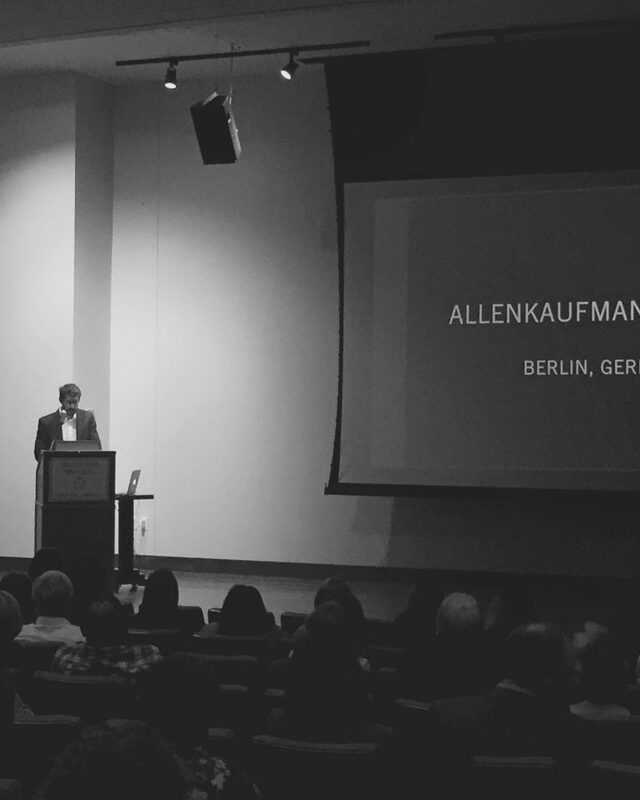 Justin Allen, who, in partnership with “Berlinerin” Saskia Kaufmann, founded the Berlin design firm AllenKaufman Studio, will be a visiting Stott professor this spring term teaching a seminar and a studio, made possible through the Julie Neupert Stott Visiting Professor endowment. Stott’s (BIArch’77) generous endowment helps the Department of Interior Architecture bring talented designers from around the world each year to work with students and faculty for a term. 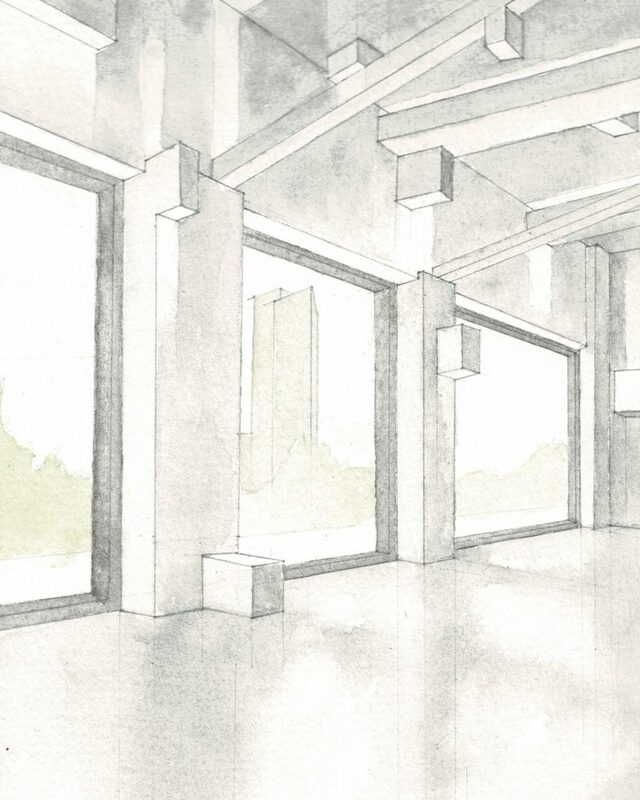 The Interior Architecture seminar, IARC 407/507, will explore combining hand-drawn, hand-made, and digital techniques in design and creative expression. For the studio, IARC 484/584, Justin Allen and students will look at designing an all-wood meditation space. 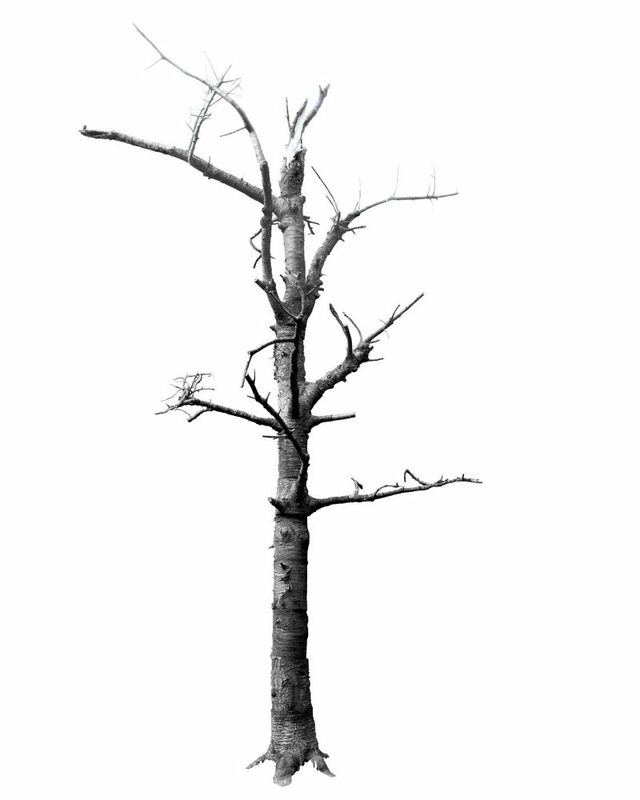 The studio, called “Tree Matter Rearrangement,” will examine the industrial life cycle of a tree, from the moment it is felled in the woods to the end of its fabrication process. Justin Allen says studio participants will visit a meditation center as well as practice meditation. “Taken together, the design process can then be informed by simultaneously looking into the industrial and fabricated life cycle of the material wood in combination with experiencing actual meditation centers and meditating,” Justin Allen wrote in his course description. 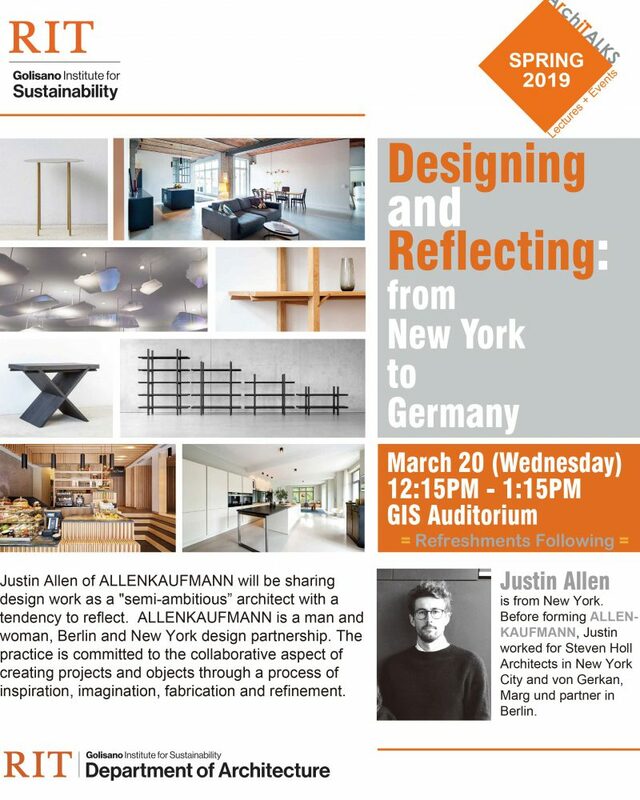 Justin Allen gave a lecture for the Rochester Institute of Technology Galisano Institute of Sustainability Architecture lecture series on March 20th in Rochester, NY. His lecture was titled Designing and Reflecting from New York to Germany. On November 17th, 2016 Justin Allen will give the honorary annual AIA Hamptons Road 2016 lecture on the work of ALLENKAUFMANN. The lecture will be held in the MacArthur Visitors Center in Norfolk, Virginia.